Recently, I have been playing with the idea of a separating my waist and hips. Exploring around during Qigong with that concept and how it would play out in the body. During meditation several weeks back, I started to become aware of the tension inside my hips and was sending waves of intention down to try to let it go. As I did this, I noticed an almost sensation in my legs that felt as if I had opened up the flood gates of blood to them. The feeling went all the way down in to my feet, which began to feel like they were pulsing. 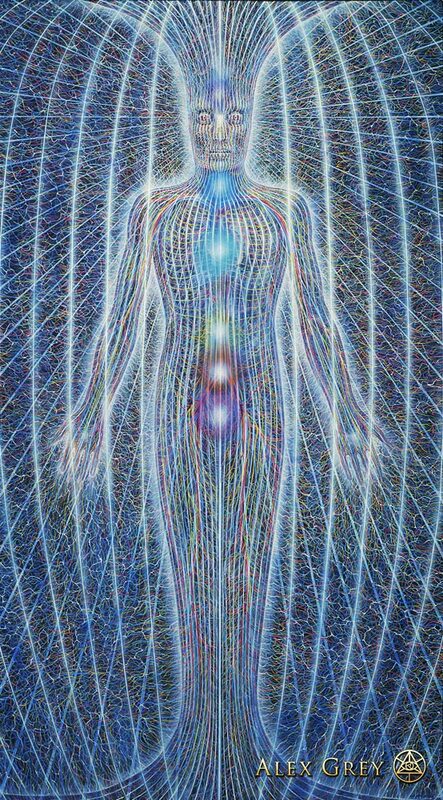 Along this same time, during certain meditations, I began to notice a feeling of electricity building up and shooting around inside my body. Much like the blood flow feeling, it’s like it was just a trickle before and now energy was free to flow more openly through it giving sensation to the areas around it that were asleep before. I mention that, because today a different sensation started to encroach onto my awareness. An almost heaviness, that I could shift around internally from side to side through the body, or throw around to power my motion. After about a week and a half off, I started a practice session this morning. After some warming up, I noticed that my hips were moving with a lot less tension then before but there was still some tension inside the inner kua and the lower abdomen. So, I sent down the intention of letting that tension go. Instantly, that tension melted away and I was able to sink farther than I have been able to comfortably in the past. Not only that, but my movement was originating in the waist instead the hips, which were hardly moving at all, yet the waist felt like it was almost going 360 degrees around my body with no effort what so ever. It changed the entire movement, I no longer had to think about each part of my body. Instead, I was just gliding from one move to the other with all my muscles relaxed. I could swing my waist from side to side and it moved completely independent from my hips, which stayed pointing straight ahead as my waist was going one direction to the next. No idea what this means. I often find that coming back after a break I have a different sensation in my movement. It will most likely go away as I dive back in to regular practice, but it is kind of exciting to feel the increased awareness of what is going on inside my own body. That is all the motivation I need to keep going. To keep learning, exploring what is on the outskirts of my awareness in an attempt to shine more light on it. I find it much easier to stand while meditating. I have been taking a course that is designed to allow a deeper understanding of yourself through increased awareness of the chakras and the emotional charges inside them. One of the major tools of this course is a guided meditation introduced in a standard sitting position. A position that is not one that my hips and lower back relax into easily. Regardless, I have been trying to settle into it without much luck. As the first imagery is introduced I am instantly met with resistance. My mind gets stuck in the hips and back as they fight to find a relaxed position. The imagery in particular is one of rooting. Sprouting roots from my feet and perineum (root chakra) and allowing them to penetrate deep in to the center of the earth creating a link between me and the planet. Needless to say, my roots don’t go very far. So I decided to try something different. Yesterday I went back to standing and was immediately greeted with a different experience. I started at the train stop in the middle of the street. As I took a couple of breaths and let my mind sink to my feet, the world around me instantly became muted and distant. I could feel my body melt downwards and my stress just liquefy and flow down in to my feet, which immediately got a very physical pulsing sensation in the arches. I felt connected to the earth, as if my lower half and the earth were one piece and it would take a massive force to move me from my spot and I hadnt even begun to try to root yet. To put this to the test, I decided to continue on the train when it got there (only partly due to there being no seats). I stood in between the doors as I got on and took my stance. Again, I was immediately shown that same grounded feeling. This time, however ,I was starting to notice a distinct tingling in my dantian and my intention would pass through it. Kind of like the feeling associated with “getting the chills” but localized to a particular area. I was solid, the train and me were one. The normal turns and shifts that would cause me to shift my feet were nothing more than a tiny ripple, diffusing in to the ballistics gel of my body. It was by far the most grounded I have ever been on the train and it lasted until I hit the subway where I then took the rest of the ride to write down my experience. Structurally and mentally that was the most grounded I had become, however, the guided meditation itself had its issues. The roots still have trouble getting deeper than a couple feet and moving on to the other stages gets muddy and lost at times. So, there is still a lot to work towards, but these little victories help me know that I am making progress. I am going to continue experimenting with different postures, the fact that some are more difficult just tells me I still have things to work on and I look forward to discovering what they are.